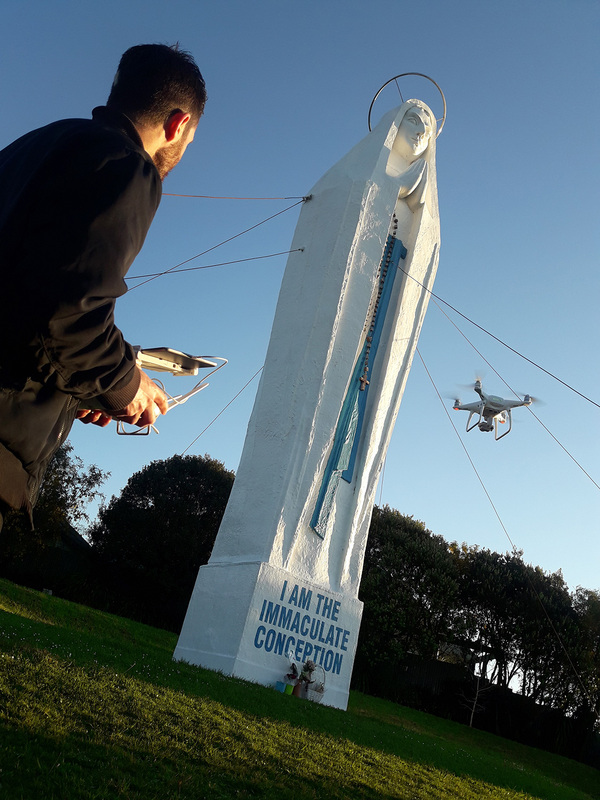 SEPT 2018 – Drone Op Daniel Wye (Top-O-the-South-Marlborough) on location with Director Paul Davidson and researcher Barb Gibb. 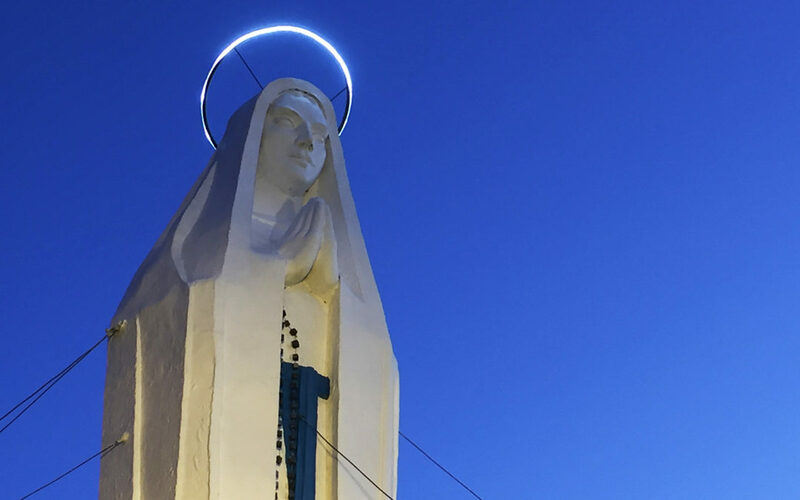 The iconic 14 meter high statue overlooks Paraparaumu township and an amazing sunset, last Saturday. 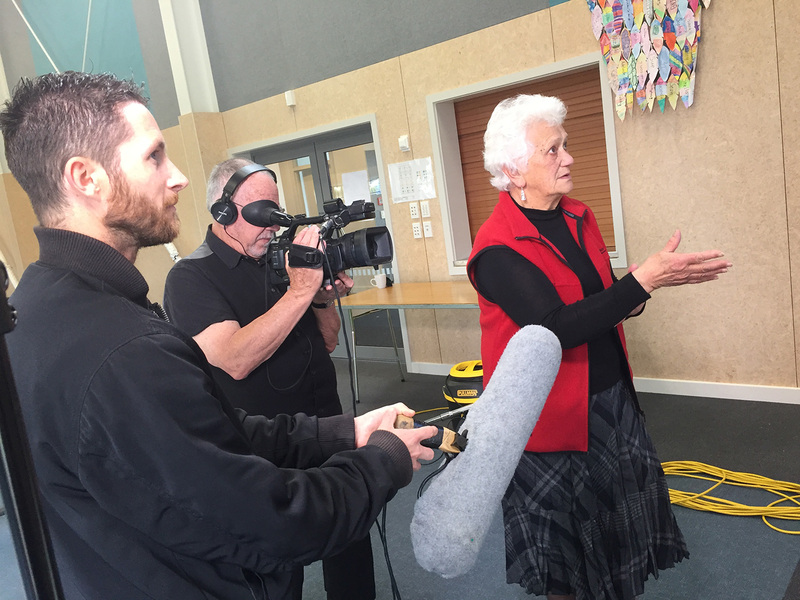 Our current documentary shoot for Our Lady of Kapiti Parish, Paraparaumu, Kapiti Coast. 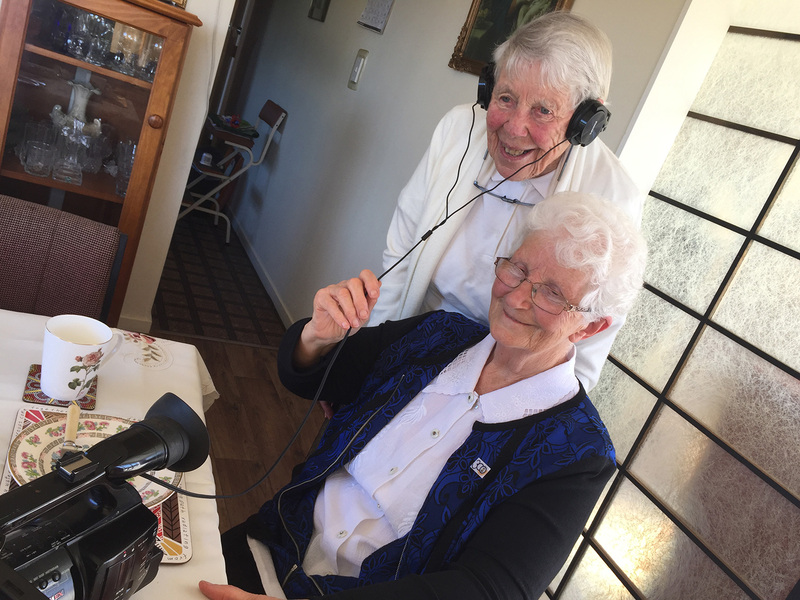 Also capturing Sister Breda, Presentation Order irish nun at her Jubilee and Tangata Whenua korero with Margarite Osborne. 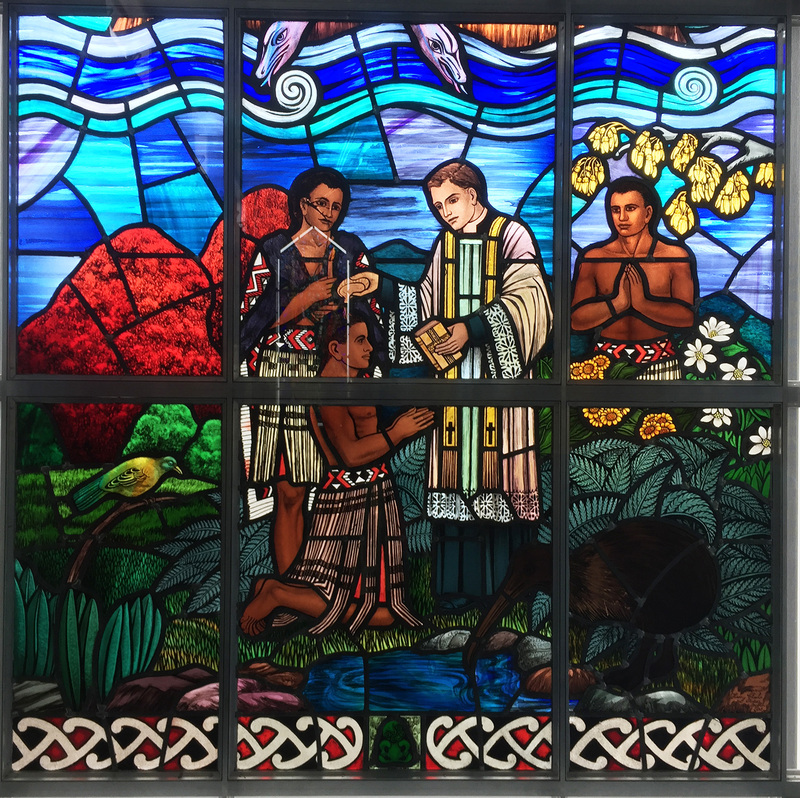 A korero with Margarite Osborne (NgaPuhi), Kuia and parishioner, explains the Maori Mission stained glass window at Saint Patrick’s Hall, Paraparaumu.